Do you read about technology all day and wish you could be a part of it? Have you ever wanted to work at a company that encourages you to shoot your coworkers with a NERF gun? Then you definitely want to keep reading this post. 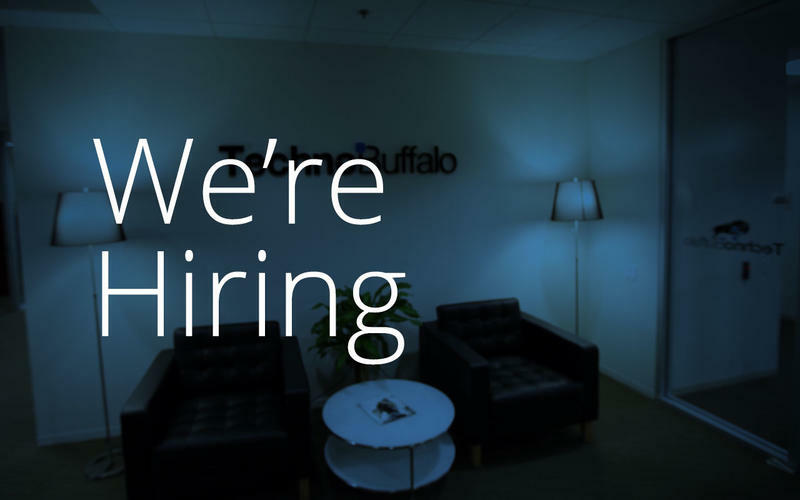 TechnoBuffalo is on the hunt for a few new staff members. We're currently looking for two new writers and one video editor. Read along for all of the criteria. We're looking for writers who are bright, very knowledgeable and well-read in the technology (consumer technology, specifically) and social media spaces. These people should be highly reliable, efficient, have great communication skills and be self-motivated. They should also be regular readers of sites like TechnoBuffalo. We are looking for individuals with backgrounds in English or Journalism, and being comfortable on camera would be a definite bonus. You will be writing original tech articles of about 300 words each on TechnoBuffalo.com, a tech website that launched in October 2009. The site prides itself on in-depth analysis of the subjects that impact our readers, so even if it may appear to be a short story, how does it impact the market and/or our readers? We welcome writers that emphasize their own voice in addition to reporting the facts. We're looking for people that can be with us long term and grow with the company, which means increases in pay and responsibility as time goes on. Starting pay will be based on experience, quality of work and position that you assume with the company. Irvine, California: must like dogs! Email your resume in PDF format attached to an email with the subject line "Writing Application". Include two writing samples, ~300 words each, that would bring value to someone that is a tech enthusiast (this can include a how-to, an analysis of a recent piece of news, a review, etc). This job posting closes on March 25, 2013. We're looking for a new video editor and producer. This person must be an expert with Final Cut Pro, have experience with editing videos tailored for the YouTube audience, and enjoy being on camera. This particular position will be specific to the Irvine, California office, so you must live in the area or be willing to move here at your own cost. You must also be 18-years-old or older and must like dogs. Email your resume in PDF format attached to an email with the subject line "Video Application". Include links to two samples of your video editing. Want some advice? Check out our series on becoming a professional blogger. How To Become A Professional Blogger: Part 1 – What Do You Want?